The Water Wings program operated by the Boyle Street Community Services prepares people to work as labourers on the arena site. People from Edmonton's inner city are getting jobs to help build the downtown arena thanks to an agreement between the city and the project contractor. Joe Pillay manages the program. He says Water Wings helped find work for 267 people last year. Staff assist people with resumes and cover the cost of safety tickets, courses that can cost as much as $150 and are required on many worksites. 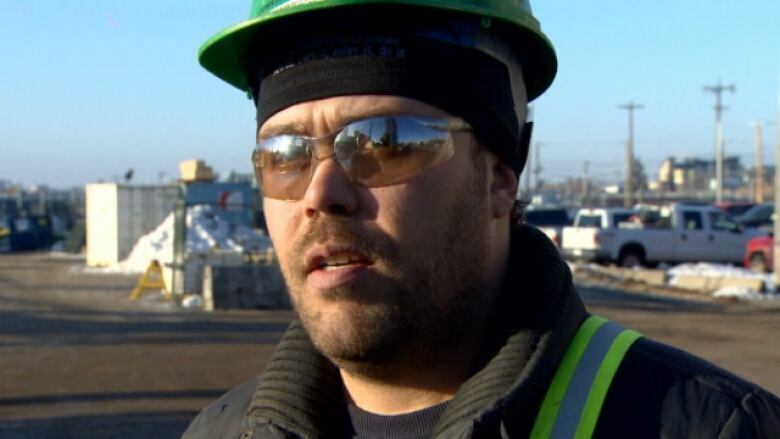 “When you are unemployed and you don't have the money, that $150 dollars is very difficult to get,” he said. This partnership between PCL, the city of Edmonton and the inner-city agency has created jobs for 8 people. They started in entry level labour jobs but some now want to move into apprenticeships in carpentry and concrete finishing. “There’s opportunities within this industry, and as long as they continue to grow and develop, they’ll do well in their future careers,” said Kent Dietrich, workforce manager for PCL Construction. Originally from Morocco, Mohammed Sfaira didn’t have a job when he moved from Montreal to Edmonton. Sfaira started with PCL in July after going through the Boyle Street program. “I came here to get my safety tickets first and to get my resume,” he said. Since then, his English has improved and he’s getting a chance to do an apprenticeship. PCL expects to hire 10 to 20 more inner-city workers next year.